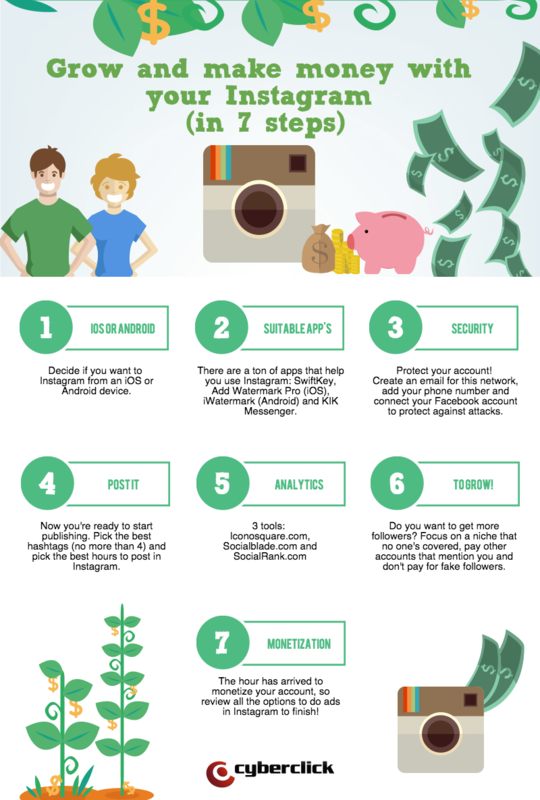 Everyone wants to make money with Instagram because it is a very popular social network. Not only is it the place where celebrities can show off their own profile without relying on the paparazzi, but also with a little patience and perseverance anyone can become an influencer and achieve a return on their presence in this network. So today I want to tell how to grow and monetize your Instagram account in 7 steps based on the advice of Anthony Carbone, an instagramer with over 14 million followers. Unless you are a professional photographer, you don’t need a "real" camera to succeed in Instagram. So the decision is fairly simple: iOS or Android? iOS is perfect if you are going to instagram photos taken on your phone itself, since their cameras are superior (especially in low light) and the images have better resolution. On the other hand, deciding on a phone with Android is ideal if you are going to process your photos on another device, as it allows you direct access to storage services in the cloud like Google Drive and Dropbox. If you save your photos in any of these sites, this is an option to be taken into account. This predictive keyboard application will save a lot of time when writing your captions. Not only is it able to predict the combinations of words you use most often, but it also is able to learn the usernames and hashtags. Add Watermark Pro (Android) or iWatermark (IOS). It is essential to put a watermark on your photos and make it very clear that they are yours. Remember: discreet logos work better than large ones, you shouldn’t overdo it! KiK Messenger. Although Instagram already has its own private messages, this application is still very useful to filter spam and communicate with other users. Most users decide whether or not to follow a new account in seconds. To ensure you attract the right audience, it better be short (4 or 5 lines), which is free from any grammar or spelling errors and has no emojis. Professionalism is key. Profile picture. The most important image of your entire account. It is better to not have any text or to keep it to a minimum. URL. This is the only clickable address all your profile, so choose it well. You already have a profile on the most monetized network in the world ... and also one of the most vulnerable to scams. So it doesn’t happen to you, you must protect yourself. 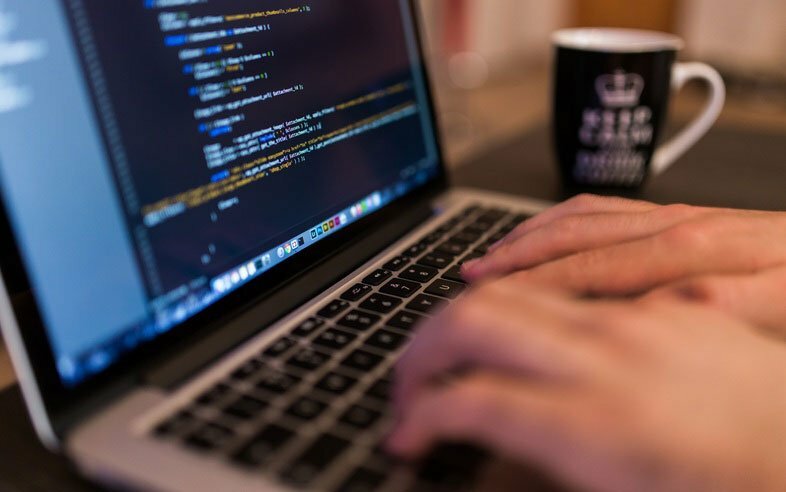 My recommendation is that you create a unique email address for this network, add your phone number and connect with your Facebook profile to be protected against possible hacks. Step 4: Ready to post! Do not use photos at a resolution lower than 1080 x 1080 pixels. Take care with the description of your photos. A good text can turn a mediocre image into a viral one. Use three to five hashtags that are specific and descriptive. Tag other accounts that are relevant. Search the best times to post: during morning from 8-11, afternoon from 2-4 and between 7 and 9. Avoid idle times on social networks! In terms of frequency, start with one or two posts a day and when you get 5000 followers you should post 3-4 times a day. Once you’re up to 10,000, you can post up to 4-5 times a day. With so many posts, you will need a service to program all of your publications: Hootsuite and Latergram work very well. Finally, begin to interact with your followers as soon as possible. Do not forget that they are the key to your success. If you want to progress in Instagram, you need to know what happens to your account at all times: what type of content do your followers prefer?, What are your followers like? For this, I recommend you to use these three tools: Iconosquare.com (to follow the basic data of your account), SocialBlade.com (to study other accounts) and SocialRank.com (to know who your most influential followers are). Step 6: Time to grow! Focus on a niche that nobody has covered yet. It seems difficult ... but every day there are a lot of original ideas on the Internet. Look for yours! Consider paying other accounts to mention you. Before investing your budget, make sure that their audience is most suitable for you. Beware of shortcuts! The bot programs that follow, give "likes" and comment for you do more harm than good, and Instagram increasingly pursues these more. Sell ​​part of the space of your captions. The least aggressive option. Sell ​​the URL of your biography, daily, weekly or monthly basis, or to accompany campaigns by post. Do "likes" paid from other photos and videos. The most interesting option for home users: join communities of influencers for brands you can send offers to. To actively seek advertisers, follow accounts with a profile similar to yours and look at their followers promoted content. 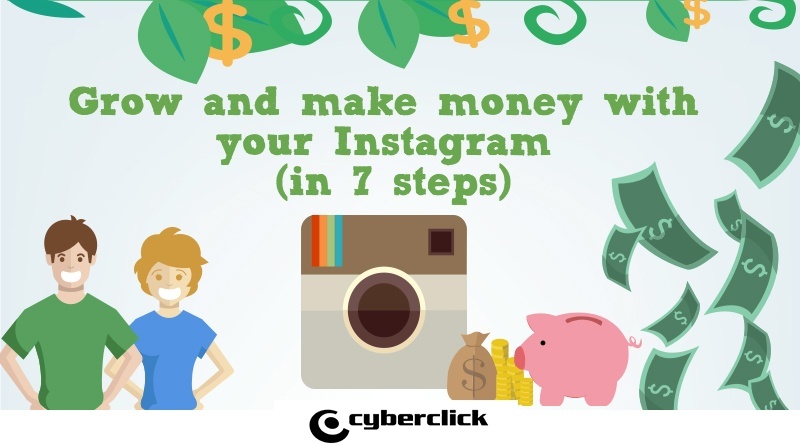 Now you're ready to grow your account and make money on Instagram! Do you have any more advice to succeed on this network? Share it with us!